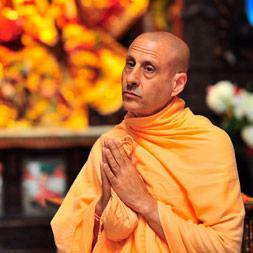 Richard (later Radhanath Swami) and his two buddies Jeff and Ramsey were hitch hiking across Europe to go to India. Enroute they found themselves trapped in the Ghettos of Istanbul. In those days the entire place was ridden with Cholera and as luck would have it, the trio was in the clutches of the underworld who were deteremined to rob them of their money and kill them or both. Radhanth Swami recalls – I am simple boy with a loving family and friends. why did I leave the shelter of my peaceful home in the suburbs of Chicago? Now I am helpless and alone. I came here in search of enlightenment; is this the path I have to tread in order to learn surrender? After their escape from Istanbul the three of them travelled eastwards and after passing through, Iran, Afghanistan and Pakistan, they finally reached India. Radhanath Swami’s extra-ordinary journey finally brought him to the frontiers of sweet surrender at the feet of God. Swami Prabupada, the famous Vaishnav monk, who founded the Hare Krishna movement in the West, accepted Radhanath Swami as his disciple in the early 1970s. and from the time on wards, Radhanath Swami has pioneered the establishment of monasteries, schools and a Hospital. Radhanath Swami inspired the Mid Day Meal scheme project to provide free nourishing meals to more than 200,000 underprivileged children in Mumbai, India. Barsana Eye Camp is another initiative mentored by Radhanath Swami which helps them restoring vision of up to 1000 patients every year from poverty stricken families in the most economically backward parts of North India. 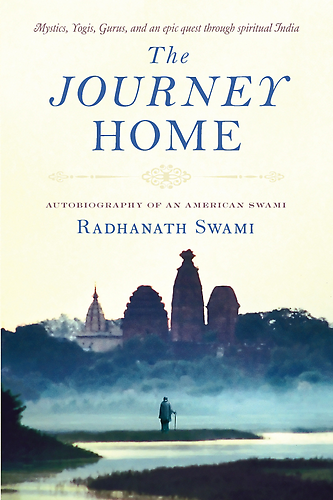 Further details about Radhanath Swami’s life can be found at www.thejourneyhomebook.org. He travels around the world and frequently lectures throughout the United States and Europe. He is based at Radha Gopinath Temple in Mumbai, India. 11 Responses to "Radhanath Swami"
Very inspiring incidences. Thank you very much for sharing the same.